Salty is no slouch behind the dish or at the plate, but there really is no comparison here as Yadier Molina is the definition of an All-Star catcher. Not only is Molina unquestionably the greatest receiver of the ball, but he also calls great games for his pitchers and makes runners very wear on the base paths. Keep a close eye on the battle within the war between Molina and Red Sox base runners. A very close match-up as both players provide a solid power bat in the middle of their team’s lineup, however Napoli’s improvements on defense give him the edge here. Adams can change the course of a game with one swing and Napoli is coming off an ALCS in which he caught fire in Games 3-5. Factoring in Naploi’s postseason experience, he takes the edge here. in determining who takes this series. Most ‘experts’ will say that this thing isn’t even close, but I beg to differ. There is no doubt that Kozma’s bat might as well be made out of Styrofoam (he’s that bad of a hitter), but his glove work is phenomenal and that is all the Cardinals ask of him. Stephen Drew is also an excellent defender, and normally is a far better hitter than Kozma, however during this postseason he has been just as bad as Kozma at the plate. Drew could be an X-factor if his bat warms up, but otherwise expect these two to quietly go about their business and stay out of the limelight. Seemingly a battle of mediocrity here as Freese has struggled all season and Bogaerts has just become a mainstay in the Sox line-up with Will Middlebrooks floundering at the plate. Freese does have a flair for the dramatic as he was instrumental in the 2011 World Series run by the Cardinals, taking down the MVP of both the NLCS and the World Series. Having said that, those days appear to be over in St. Louis. Bogaerts could provide a bit of spark at the bottom of the order and is better defensively then Freese, but this match-up simply just doesn’t do it for me. For most of the season it was Nava’s job in Boston, but as of late it seems to be all Gomes all the time. Regardless of which one of them is playing, neither of them holds a candle to Holliday at the plate and their defense is only slightly better than his, making this a significant advantage for the Cardinals. 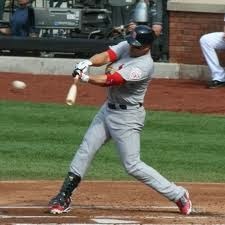 Holliday drops bombs, plain and simple. 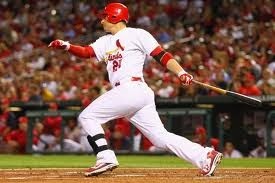 Gomes and Nava are decent hitters, but Holliday is one of the best in the game. 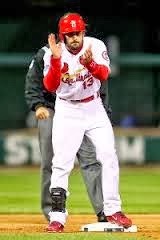 Expect him to hit one or two bolts in the series and be a key component of any Cardinals offensive rally. Possibly the biggest mismatch of the series considering how poor Jay has been playing and how electrifying Ellsbury has been this postseason, the center field match-up could be the one which gives the Red Sox the edge in this series. Not only does Ellsbury provide Gold Glove-caliber defense (which will by key at Fenway) but he also is the most feared man on the base paths in the majors (led league with 52 stolen bases this season). Not much will be asked of Jay in this series offensively, but the Red Sox will be putting a great deal of faith in Ellsbury to take them to the Promised Land. This is far and away the most intriguing positional battle of the series in my opinion. At first glance at these two names, you would probably consider this a huge advantage for the Cardinals because of the fact that Beltran is arguably the greatest postseason hitter of all time, but you would be wrong. Yes, Beltran is a patient hitter with the uncanny ability to find a hole or shoot a gap when things really matter; however Shane Victorino might be the most important piece of the puzzle for the Red Sox’s line-up outside of Jacoby Ellsbury. His offensive output was superior to Beltran’s during the regular season, and his defense and base-stealing ability are better as well; however Beltran’s ‘knack’ for postseason success gives him the edge here. Either way, both are key for their teams. Very interesting situation here as the Cardinals are claiming that Allen Craig is going to be ready to hit in this series, giving the National League pennant winners one of their best bats back. The problem will be that Craig is obviously not 100% and even if he was, the time missed facing live in-game pitching will likely show. 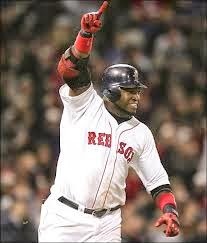 Regardless of Craig’s situation, he is better than any other option the Cards have for the games in Fenway; however I still give the edge to Big Papi due to his consistent power numbers and clutch gene. The Cardinals boasted the second best starter’s ERA during the regular season, while the Red Sox were only 11th in that field, and this is excluding for the most part Michael Wacha, who was in the minors for most of the season. The Cardinals have things set up so that their 2 studs (Wainwright and Wacha) can go in games 1, 2, 5, and 6, while the Red Sox rotation is a little bit more out-of-whack. Bottom line, Wainwright is better than Lester, Wacha has been better than Wacha recently, Lackey takes the edge over Kelly, and Lynn and Peavy are a push. Having a better 1-2 combination gives the Cardinals the edge here. Really no losers here as both of these teams are going to maintain a 6th or 7th inning lead more often than not. 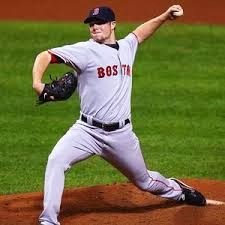 Closers Trevor Rosenthal and Koji Uehara are different animal’s altogether, but both get the job done consistently. Uehara’s ability to get the 6 out save may give him a slight edge, but Rosenthal has such explosive stuff that things even out rather quickly. Each team has the necessary specialists for postseason play, and a capable long-inning reliever if necessary. Bottom line, score early because neither of these bullpens are going to give up much. Before getting hurt in the regular season, Craig was posting MVP-type numbers, and his ability to hit with runners in scoring position was unmatched around the league. If he is able to get 4 quality at-bats in each Fenway game and provide a legitimate pinch-hitting bat for Manager Mike Matheny, then he could be the difference maker. His health and rusty eye will be things to watch very carefully come Wednesday night. 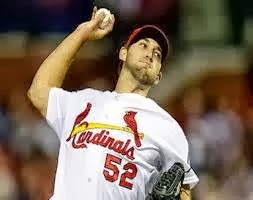 If you ask me, the Cardinals have the edge in the series simply because of the fact that they are going to run out Adam Wainwright and Michael Wacha two times each in this series, while the Red Sox are going to have to rely on Jon Lester and a recently shaky Clay Bucholtz to counter the Cards’ aces. While Boston has a more complete line-up 1 through 9 and slightly better defense, the starting rotation of the Cardinals and their lock down bullpen make it tough for me to see Boston winning 4 games before they do. Regardless, it is going to be an incredible series; full of future Hall of Famers, postseason magicians, and seriously powerful arms. Gotta love October people!!! Really? Their starting pitching just doesn't do it for me. Lester and Bucholtz are going to have to be huge and Lackey will need to win his start for sure. Looks like my prediction of Cards in 7 is looking better and better! !